If you follow the traditional fast weight loss advice of starving yourself and doing lots of cardio and high-rep, low-weight weightlifting, you’re bound to wind up skinny fat. Instead, you want to use an aggressive (but not reckless) calorie deficit, eat a high-protein, high-carb diet, do lots of heavy, compound strength training, keep cardio to a minimum, and (if you want) take supplements proven to accelerate fat loss. Using that system, most people can safely and healthily lose 1 to 2 pounds of fat per week, or 4 to 8 pounds per month. Keep reading to learn how. You’re here because you want to lose weight fast, and that’s completely understandable. You’re going to learn the 5 steps you need to follow to lose fat and not muscle as quickly as possible. 1. Eat a very low-calorie and low-protein diet. 2. Do lots of cardio. 3. Do high-rep, low-weight resistance training. 1. Use an aggressive (but not reckless) calorie deficit of about 25%. 5. Take supplements proven to accelerate fat loss. Why Is it So Hard to Lose Weight Fast? Can You Lose Weight Fast Without Going to the Gym? Should You Train Fasted to Lose Weight Faster? 1 to 2 servings of my fat burner Phoenix per day. Eat a very low-calorie and low-protein diet. Do high-rep, low-weight resistance training. And it works—follow that plan and you’ll lose weight faster than Hollywood ruined the Star Wars franchise. Now, I’m not saying that these people should be ashamed of their bodies, but let’s be real: those aren’t the looks that makes us want to get off the couch and under the squat rack. Well, let’s start with what they didn’t do. They didn’t . . . The provide very few calories. They provide very little protein. And this works well—follow that plan and you will lose weight fast. If you look at your body composition, though, then it’s clear this approach does more harm than good. You see, when you’re in a large calorie deficit and eating too little protein, you lose fat, but you also lose quite a bit of muscle as well and your metabolism slows down markedly. This is because there’s a point of diminishing returns when it comes to calorie restriction. Reduce your calorie intake slightly, and you can lose weight consistently without excessive hunger, cravings, or muscle loss. These problems are only made worse when you also don’t eat enough protein. Study after study after study has shown that people who follow a high-protein diet lose less muscle, experience less hunger, and burn more calories when they restrict their food intake. Cardio does help burn calories and thus fat, but do too much while dieting and you’re asking for a world of hurt. Specifically, you’re going to . . . Develop symptoms related to overtraining. Let’s take a closer look at each of these downsides. Furthermore, the longer your cardio sessions are, the more pronounced this “interference effect” is. This is why it isn’t surprising that doing too much cardio when your calories are restricted for fat loss, which already reduces anabolic hormone levels and protein synthesis rates, is an easy way to accelerate muscle loss. How could that be, you’re wondering? This is especially true if you’re not following a meal plan or tracking your food intake. It’s all too easy to eat back the few hundred calories you burn after a cardio workout without even realizing it. A couple handfuls of nuts and a piece of fruit or a protein bar is all it takes. As you’ll soon learn, you have to control your calories to lose a significant amount of fat. There’s just no way around it. Unfortunately, one of the prices you have to pay for a slimmer waistline is an impaired ability to recover from your training. When you’re dieting to lose weight, your body just can’t bounce back as quickly as you’re used to. Dropping the weights and increasing the volume (reps) doesn’t automagically produce more muscle separation, density, or vascularity. It doesn’t even burn that many more calories compared to high-weight, lower-volume (strength training) workouts. Instead, you want to do a lot of heavy compound weightlifting when you’re cutting, and we’ll talk about why soon. Even better, you won’t have to struggle with hunger and cravings, your energy levels won’t crash, and your workout performance will be minimally impacted. Use an aggressive (but not reckless) calorie deficit of about 25%. This is known as creating a “calorie deficit,” and it causes the body to slowly whittle down its fat stores to meet its daily energy demands. Thus, instead of educating you on how the human metabolism actually works, “experts” make up stories about how a single bogeyman—a hormone (insulin) or food (carbohydrate), for example—is making you fat, and that all you have to do is eliminate it from your life and the pounds will fall off. It often creates large calorie deficits that lead to all of the problems related to starvation dieting that we discussed earlier—hunger, cravings, lethargy, and muscle loss—and you can only go for so long without the foods you actually like to eat before you lose the will to keep going. Second, it’s easy to mess up. Regardless of how restrictive your diet is, if you eat too many calories, you’re going to stop losing weight. Research shows that this is exactly what happens to many people who follow these types of diets: slowly but surely, they eat more and more of the foods they’re “allowed” to eat, and eventually, the weight loss stalls. All this is why I recommend that you control your calorie intake and maintain an aggressive—but not reckless—calorie deficit of about 25%. The first group ate about 300 fewer calories than they burned every day, or about 12% below their TDEE. The second group ate about 750 fewer calories than they burned every day, or about 24% below their TDEE. The group that followed the 750-calorie deficit wasn’t starving, either—they still ate over 2,000 calories a day. If you know what you’re doing, you can be fairly aggressive with your calorie deficit (25% below TDEE) without sacrificing muscle. You’ll learn exactly how many calories this is for you in a moment. This is even more important when you restrict your calorie intake for fat loss, as adequate protein intake plays a major role in preserving lean mass. So, how much protein you should be eating? Well, this article breaks it all down, but the long story short is when cutting, you want to eat around 1 gram of protein per pound of body weight per day. If you’re very overweight (20+% body fat for men and 35+% for women), then you can set your protein intake at 40% of your total daily calories. Despite what you may have heard, studies show that when calorie and protein intake are equated, a low-carb diet isn’t better for fat loss, and is generally worse for muscle preservation. In other words, when you restrict your carbs while cutting, you not only fail to lose fat faster, you set yourself up to lose muscle faster. Low-carb dieting makes sense for sedentary and overweight people, as their bodies simply don’t require an abundance of energy. For these people, low-carb diets can work well. For those of us who are lean (or relatively lean) and physically active, however, and especially those of us who train our muscles regularly, carbohydrate is our friend. It helps us gain muscle and strength faster. It improves mood and reduces fatigue. It allows us to push harder in our workouts. Furthermore, when you’re in calorie deficit and exercising regularly, your body is more likely to store the carbohydrate you eat as glycogen in your muscles than as body fat. All this is why I recommend that you get 30 to 50% of your daily calories from carbs when cutting, which typically works out to about 1 to 2 grams of carbs per pound of body weight. This is a “sweet spot” of sorts that allows you to maintain workout intensity and lean mass, as well as fight off stress, fatigue, and hunger. There are many ways to train your muscles, and when the goal is gaining size and strength as quickly as possible, nothing beats heavy compound weightlifting. By “heavy,” I mean that you should work primarily with weights in the range of 75 to 85% of your one-rep max (1RM), which includes weights that you can do 6 to 10 reps with before failing. After 12 weeks, both groups lost about 20 pounds (meaning the workouts burned about the same number of calories), but the group that did heavy strength training gained three times more muscle (7 pounds versus 2 pounds) and lost over twice as much body fat. In another study, men training with heavy weights experienced increased metabolic rates for three days after their workouts, and burned hundreds more calories than the group that trained with lighter weights. Research also shows that the big compound movements like the squat, bench press, and deadlift are the types of exercises that produce the greatest increases in metabolic rate. So, if you want to preserve as much muscle and burn as much fat as possible when you cut, then you want to do a lot of heavy pushing, pulling, and squatting. In fact, research shows that just doing cardio guarantees little in the way of fat loss. Ironically, many people wind up even fatter than when they began their exercise routines. I’m no fan of slogging away on the treadmill (I wrote a whole book about that, actually), but it would be wrong to say that cardio has no place in a weight loss plan. You just have to do it properly. When used properly, cardio will help you cut fat faster without sacrificing any muscle to speak of. 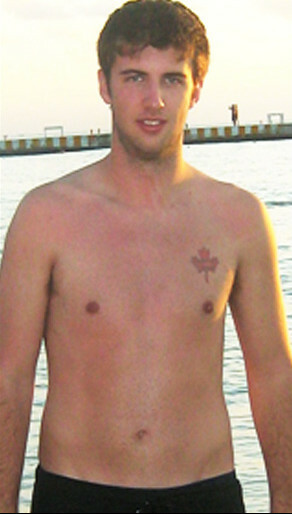 I cut down to this look of about 8% body fat doing no more than 1.5 hours of cardio per week. And I can maintain it with even less. 99% of what you see, hear, and read about fat loss supplements is pure blarney. You can read this article to learn why, but some of the worst offenders include Garcinia cambogia, green coffee bean extract, and raspberry ketones. And others, like Hoodia, have even turned out to be toxic. 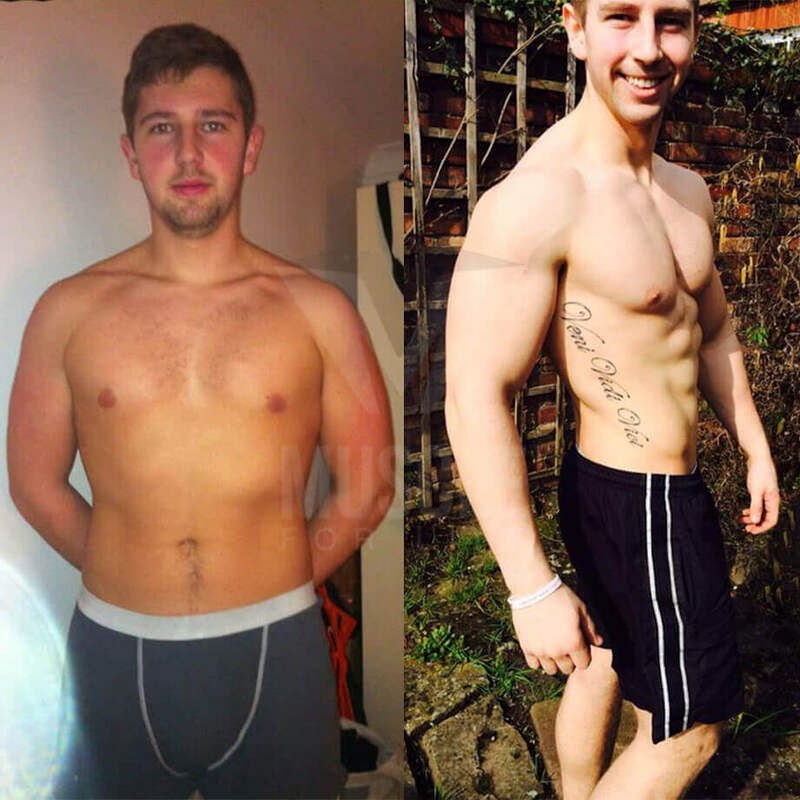 So if you’re skeptical of fat loss supplements, I understand. That said, there are safe, natural compounds that do effectively speed up fat loss. When you combine the right supplements with a proper diet and exercise routine, you dramatically speed up the process. I’ll show you what these are, why they work, and how to take them in just a moment. Most people think they can lose weight much faster than you really can (or should). This isn’t surprising considering how many supplements, books, and weight loss programs promise 10, 20, or 30 pounds of weight loss in just 30 days. What “they” aren’t telling you, however, is while some people (very overweight) can lose up to 30 pounds in 30 days, most can’t. And even those that can have to suffer for it. The reality is when you’re doing everything right, a safe, healthy, and realistic goal is to lose 0.5 to 1% of your body weight per week. That works out to around 1 to 2 pounds of weight loss per week for most people, or 4 to 8 pounds per month. If you resort to more “extreme” measures (starvation dieting, for instance) to lose weight significantly faster than that, you can run into all kinds of problems, including muscle loss, fatigue, overtraining, irritation and depression, and others. The reason the target rate of weight loss ranges between 1 and 2 pounds is your starting body weight and body fat percentage has a major impact on how quickly you can (and should) lose weight. The long story short is the more fat you have to lose, the faster you can safely and healthily lose it. People who are very overweight (men over 25% body fat and women over 35%) can often lose 2 or 3 pounds per week without losing muscle, but people who are lean wanting to get really lean (men around 10% and women around 20%) may only be able to lose one half to one pound per week. For example, I’m 195 pounds at about 10% body fat, so I’d want to lose anywhere from 1 to 2 pounds per week. Since I’m relatively lean, I’d shoot for the lower end of that range and adjust my diet to allow for 1 pound of weight loss per week. If I were 300 pounds, though, I could safely shoot for 1.5 to 3 pounds of weight loss per week. You’ve probably restricted your calories and started doing exercise before, only to see the scale creep downward at a snail’s pace or stop moving altogether. There are four primary reasons why so many people struggle to lose weight fast. First, many people make “little” dietary mistakes that eventually add up to stalled weight loss. For example, here’s how this could go down at breakfast. Someone adds an extra 2 tablespoons of half-and-half to their coffee (40 calories) and an extra tablespoon of peanut butter to their oatmeal (100 calories), and eats an extra large banana instead of the medium one they accounted for (50 calories). They’ve just accidentally eaten 200 calories more than they thought, and after more mistakes like these at lunch and dinner they’ve wiped out their entire calorie deficit for the day. Second, when you restrict your calories to lose fat, your body sets out to decrease energy expenditure and increase intake. In other words, your body wants to erase the energy deficit to balance calorie intake with output and thereby stop the weight loss. The reality is losing fat requires that you force your body to do something it doesn’t want to do (mild and prolonged starvation), and in the spirit of self-preservation, it has “defense mechanisms” it employs to fight back. These defense mechanisms can slow down fat loss, especially as you get leaner and leaner. Third, water retention can obscure fat loss. When you restrict your calories, your body produces a stress-hormone called cortisol, which impacts the body in a variety of ways, including an increase in fluid retention. The end result for you is that the fat you lose can be hidden—both on the scale and in the mirror—by additional water that your body is holding on to. This can be fairly significant as well. It’s possible to lose four or five pounds of fat in a month and not see a change in scale weight due to increased water retention. When cortisol levels come down (which can happen for a number of reasons), your body flushes out the excess water and you can experience a “whoosh” of weight loss overnight. (This is particularly common after refeeds, which reduce cortisol levels). Fourth, some people can gain muscle and lose fat at the same time, and this can also obscure fat loss. When you’re new to lifting weights, it’s possible to build muscle almost as quickly as you can lose fat, resulting in no real change on the scale. This doesn’t last long, though—maybe a month or two—so if the scale doesn’t change after 3 months, this probably isn’t the issue. If you’re willing to eat very little food every day, you can create a large calorie deficit without doing any exercise. Do this and you’ll lose weight fast, but you’ll also lose quite a bit of muscle. And as we discussed earlier, this is one of the main reasons people wind up skinny fat. This is one of the main reasons you should exercise when you’re dieting to lose fat (the other being energy expenditure). Not just any exercise, either. The best kind of exercise for preserving (or even gaining) muscle while also burning a lot of calories is resistance training, and heavy, compound weightlifting in particular. Resistance training involves pushing and pulling against heavier and heavier weights over time, and heavy compound weightlifting is a kind of resistance training that involves multiple muscle groups through a full range of motion. One group did 1 hour of cardio 4 times per week. One group lifted weights 3 times per week. Both groups followed the same diet, which consisted of shakes that provided 800 calories, 80 grams of protein, 98 grams of carbohydrate, and 10 grams of fat per day. After 12 weeks, both groups lost about the same amount of fat, but the cardio group also lost 9 pounds of lean body mass, whereas the group that lifted weights didn’t lose any. A number of other studies have found the same thing: if you want to lose fat quickly and not muscle, then you want to include resistance training in your weight loss regimen, and heavy compound weightlifting in particular.. The best diet for rapid weight loss isn’t complicated, expensive, or even all that difficult. It does require a bit of planning, commitment, and attention to detail, but it also guarantees uniform results. Determine how many calories you should be eating every day. Determine how much protein, carbohydrate, and fat you should be eating every day. Create a meal plan based on these numbers. Adjust based on how your body responds. Let’s start at step one. The resulting number will be a fairly accurate measurement of your total daily energy expenditure (TDEE). In case you’re wondering how this works, it uses the Katch-McArdle formula to determine your basal metabolic rate and then adjusts it upward based on your activity level. As you know, you want to maintain an aggressive, but not reckless calorie deficit to lose weight quickly. That means eating about 75% of the calories you burn every day, which is calculated by multiplying your TDEE by 0.75. For example, I’m 6’2, 33 years old, and I weigh 195 pounds and am around 10% body fat, and I exercise about 5 hours per week. 3,000 x 0.75 = 2,250. Therefore, I’d want to eat about 2,250 calories per day to lose weight rapidly. The next step is to work out how this translates into protein, carbohydrate, and dietary fat. But when people talk about macros, they’re just referring to the first 3. Macros are important because how your calories break down into protein, carbs, and fat heavily influences your workout performance, body composition, and overall health and well-being. Set your protein intake to 40% of your total daily calories. Set your carbohydrate intake to 40% of your total daily calories. Set your fat intake to 20% of your total daily calories. To do this, simply use the sliders on the calculator above. Okay, so now that you have your macros taped, let’s move on to the next step: meal planning. The absolute easiest way to lose weight quickly is following a meal plan. While you don’t need to count or track calories to lose weight, if you do, you’re much less likely to accidentally overeat (which is the number one reason most people “mysteriously” can’t lose weight). Create a single day of eating that meets your calorie and macro targets, and follow that plan every day. Are within 50 calories of their daily calorie targets. Spread out protein intake fairly evenly throughout the day. Specify exactly how much to eat of each food in each meal. Specify the calories and macros of each food, which makes it easy to make substitutions. Provide an abundance of whole, minimally processed, nutritious foods. The first step is to open up Excel, Google Sheets (here’s a template you can use, you’ll need to make a copy), or an equivalent, and format it to match the examples above. 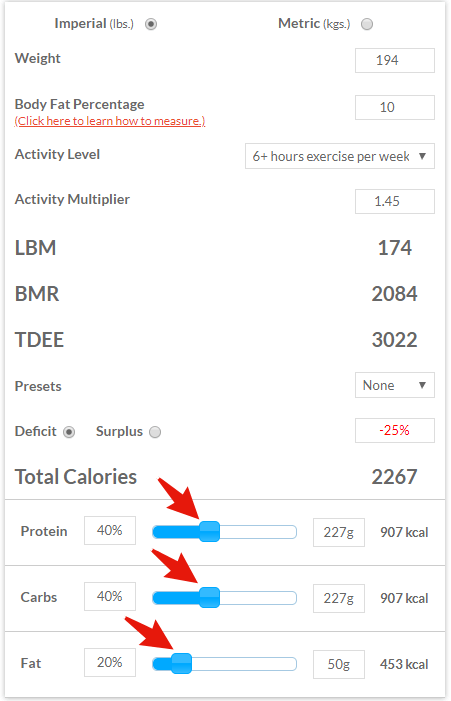 You’re going to use the “Totals” row to show the total calories, protein, carbs, and fat in your meal plan, and the “Targets” row for showing your target calories, protein, carbs, and fat. To set up the Totals column, you’re going to create a formula that adds up the total calories, protein, carbs, and fat for all of your meals. To do this, click the cell for your total calories, and use the SUM function to add up everything that will go into the Calories column for your individual meals. Since you haven’t added any foods yet, it will display 0. Then do the same for protein, carbs, and fat. 2. Decide how many meals you want to eat per day and when. So long as you’re managing your energy and macronutrient balances properly and getting the majority of your calories from nutritious foods, meal timing and frequency aren’t going to help your hinder your results. Eat protein before and after strength training, because it can help you retain and gain muscle and strength better. Eat carbs post-workout, because it can help you recover faster from workouts. Eat 3 to 5 servings of protein per day, because it’s better for maintaining and gaining muscle than fewer servings. Eat 3 to 5 meals per day with at least 20 to 40 grams of protein per meal. Eat one of these meals 1 to 2 hours before your workout and another meal 1 to 2 hours after your workout. Include 30 to 50 grams of carbohydrate in your pre- and post-workout meals. The easiest way to set this up in your meal plan is to start by entering your pre- and post-workout meals, and then schedule the rest of your meals as desired. Now that you have all of your meals scheduled, it’s time to decide what foods you’re going to eat at each meal. Now it’s time to take your placeholders and turn them into proper meals. The first thing you should know here is the importance of mostly eating unprocessed, nutritious foods like lean protein, fruits, and vegetables when cutting. By mostly eating these types of foods, you can enjoy more fullness on fewer calories, better stave off hunger and cravings, and avoid nutritional deficiencies that are bad for your health and well-being. That said, eating nothing but “clean” foods like these every day can get boring, so feel free to include treats in your meal plan. Specifically, you can allot up to 20% of your total daily calories to sugary, processed, or otherwise “unhealthy” delights if you so desire. I personally love dark chocolate (not exactly a “junk food,” I know), so I usually eat ~150 calories of it per day. To start creating your meals, open up a food database website like calorieking.com, myfitnesspal.com, or the USDA food search tool. From here, the idea is to piece together your meals food by food, entering their calories, protein, carbs, and fat as you go. Put 20 to 40 grams of protein in my pre- and post-workout meals. Put 30 to 50 grams of carbs in the pre- and post-workout meals. Add 20 to 40 grams of protein into my remaining meals, until I’m within 10% of my daily protein target. Add in at least 2 to 3 servings of both fruit and vegetables. Add in my “discretionary” calories (treats). Add in healthy fats as needed to hit my daily fat target. Finish with carb-rich foods like grains, legumes, and the like. Finally, tweak meals and food portions until I’m within 50 calories of my daily target. No matter how good a diet or exercise program sounds, how famous its creator is, or how many books it has sold, if it doesn’t work for you—if it doesn’t deliver the type of results you’re looking for—you need to move on. The second point is less obvious but equally important. If a program gets results but can’t be sustained over the long term, whether due to complexity, difficulty, or anything else, it too should be abandoned. Sure, you can lose a lot of weight with a crash or starvation diet, but what happens next? For many people, they gain all the weight (or more!) right back. The same goes for grueling exercise routines. They can supercharge your fat loss and muscle gain, but they can also burn you out. That’s why we want to go for the sweet spot: consistent, encouraging results without any of the pain or suffering that most people go through when trying to get fit. For weight loss, the sweet spot is losing 0.5 to 1% of your body weight per week, which is 0.5 to 2 pounds per week for most people. As we covered earlier, if you have a lot of weight to lose then you should shoot for the upper end of that range. If you’re at a normal body fat percentage and are looking to get lean, you should be in the middle (around 1 pound of weight loss per week). And if you’re lean looking to get really lean, you want to be at the lowest end of the range (around 0.5 pounds lost per week). So long as things are progressing according to those guidelines, then just keep going. Don’t fix it if it ain’t broken and all that. If, however, you’re not losing enough weight or losing it too quickly, then you should look into it because you may need to make adjustments. If you’re not losing enough weight, click here to read an article on how to fix this. Many people would say that you’re just eating too much or not moving enough, and while this may be technically correct, it’s not always true and doesn’t necessarily help you solve the actual problem. If you’re losing weight too quickly, double-check your calorie intake and expenditure. No matter how lean you are when you start cutting, you can expect rapid weight loss in the first week or two as your body sheds water and glycogen. After that, though, things should slow down. If they don’t—if you continue to lose weight significantly faster than discussed above—then chances are you’re eating less or burning more energy than you realize. A common newbie mistake here is overestimating calorie intake due to eyeballing foods and portions instead of weighing them. Some people also assume they’re burning fewer calories than they actually are, usually due to a physically active job (walking, for instance, burns about 300 calories per hour). So, when you’re losing weight too quickly, double-check your estimated energy intake and expenditure and ensure they’re accurate and you’re not accidentally running a much larger calorie deficit than you intended. If you get hung up on any aspect of everything we’ve covered so far and would like some professional help (and guaranteed results), click here to learn about my diet coaching service. Preserve or even build muscle to optimize your body composition. Burn a significant amount of energy to support your weight loss efforts. Challenge your body but not so much that you risk overtraining. And when it comes to accomplishing those 3 goals, one kind of exercise stands head and shoulders above the rest—weightlifting. More specifically, heavy strength training. Cardio can help too, though, if you done correctly. Done incorrectly and it’s only going to make fat loss harder. Let’s break it down step-by-step, starting with the kind of weightlifting you should be doing. The only way to increase muscle definition is to gain muscle and/or reduce your body fat percentage, not use supersets, drop sets, or other fancy training techniques. Furthermore, your body is “primed” for muscle loss when you’re in a calorie deficit, and by training with lighter weights, you’ll set yourself up for significant strength loss, which isn’t conducive to muscle retention. That’s why you want to do the opposite when you’re cutting—you want to train with heavy weights and push for progression, which is the primary driver of muscle growth. One of my favorite workout routines for this is the traditional “Push Pull Legs” routine. High-intensity interval training, or HIIT, is a kind of cardio where you alternate between intervals of short, maximal efforts and brief recovery periods. You start your HIIT session with a short (1 to 5 minute) warm-up, followed by 30 to 60 seconds of all-out exertion. This spikes your heart rate and really gets you huffing and puffing. You then do 30 to 60 seconds of low-intensity “cooldown,” followed by 30 to 60 seconds of all-out exertion, and so forth. You repeat this for as long as desired. Why do I recommend this type of cardio for rapid weight loss instead of the traditional, “low-intensity steady state” type of cardio? Well, a number of studies such as those conducted by Laval University, East Tennessee State University, Baylor College of Medicine, and the University of New South Wales have shown that shorter, high-intensity cardio sessions result in greater fat loss over time than longer, low-intensity sessions. How much greater, you’re wondering? Well, in one study conducted by scientists at The University of Western Ontario, subjects were separated into two groups and exercised 3 times per week for 6 weeks. One group did 4 to 6 30-second sprints per workout, and the other did 30 to 60 minutes of incline treadmill walking, and by the end of the study, the subjects who did the short HIIT workouts had burned 53% more fat than their walking counterparts. No, that’s not a typo. A few minutes of HIIT with a few minutes of rest in between each sprint results in more fat loss than an hour of walking. Significant spikes in growth hormone levels (which may aid in fat loss) and catecholamine levels (chemicals your body produces to directly induce fat mobilization). Another notable benefit of HIIT is it’s better for muscle retention than longer, steady-state cardio workouts. We recall that the longer your cardio sessions are, the more they impair strength and muscle gain, and only high-intensity interval training allows you to do short (under 30-minute) workouts that burn a significant amount of body fat. The downside to HIIT is obvious: it’s harder to do and recover from than lower-intensity cardio. This is easily mitigated, however, by choosing the type of cardio you do and how much wisely, which we’ll get to next. My hands-down favorite type of HIIT cardio is cycling. Not only is it very convenient—all you need is an inexpensive upright or recumbent bike—studies show it has a few special benefits for us weightlifters. One group cycled for 20 to 40 minutes each workout (increasing the duration throughout the study). One group walked on an incline treadmill for the same length of time. And after 9 weeks, the subjects that walked gained significantly less strength and size than those that cycled. Cycling more closely imitating weightlifting movements that cause muscle growth (like squats, for instance). Cycling causes less muscle damage and wear and tear on the joints than running, so it’s easier to recover from. So, in terms of an exact protocol for cycling, here’s what you can do. Start your workout with 2 to 3 minutes of low-intensity warm-up on the lowest resistance. Bump the resistance up to a level that allows you to pedal as quickly as possible without “spinning out,” and pedal as fast as you can for 30 seconds. Reduce the resistance to its easiest setting and pedal at a moderate pace (about 100 RPM) for 60 to 90 seconds. If you’re new to HIIT, you may need to extend this rest period to 2 to 4 minutes. Repeat this cycle of all-out and recovery intervals for 20 to 25 minutes. Do a 2 to 3 minute cool-down at a low intensity. Now, if you don’t want to or can’t cycle for whatever reason, the next-best choice for HIIT is rowing. Rowing involves many of the same muscles as cycling, doesn’t beat you up as much as running, and most gyms have rowing machines. My third choice would either be the elliptical or swimming, because they also result in minimal muscle damage (which necessitates more time for recovery). Now, I mentioned earlier that you have to be smart about how you program your HIIT workouts, because if you overdo it, you’ll impair your ability to recover from your strength training workouts. Limit your HIIT cardio to 2 hours per week, and limit each session to 25 minutes. Start with 1 to 2 HIIT workouts per week for 2 weeks and see how things go. If you’re recovering well, enjoying your workouts, and feeling good, then you can work your way up to 4 HIIT sessions per week. I’ve found most people do best with 2 to 4 HIIT sessions per week. Less than that usually isn’t enough to notice a significant increase in fat loss, and more than that tends to lead to the negative side effects we discussed earlier. Stick within that range, though, and you should have no trouble getting all of the benefits of HIIT with few or none of the downsides. If at any point you start feeling rundown or overtrained, replace one HIIT session with a low-intensity cardio workout, like walking, and see how your body responds. You’ve probably heard that training on an empty stomach helps you burn fat faster. On the other hand, you may have also heard others say that fasted cardio is at best a waste of time and at worst a great way to burn up muscle. To get at the truth, we need to look at what happens inside your body after eating a meal. It all starts with your pancreas, which produces insulin and releases it into your blood after you eat food. Insulin’s job is to shuttle nutrients out of the blood and into your cells, such as the amino acids from protein, the glucose from carbohydrate, and the fatty acids from dietary fat. When your insulin levels are elevated—when you’re in a “fed” state—no fat burning occurs. Your body uses the glucose in the blood for all its energy need, and stores the excess. Depending on how much you eat, this state can last for several hours. But, as the nutrients eaten are absorbed, insulin levels decline, and the body senses that its post-meal energy is running out. It then shifts toward burning fat stores to meet its energy needs. Day after day, it juggles these states of storing a portion of the food you eat, and burning its stores when food energy isn’t present. When insulin is at a baseline level and your body is relying completely on its energy stores (fat, primarily), we say you’re in a “fasted” state. After you eat a moderate-sized meal, it takes three to five hours for your body to enter this state, and sometimes more depending on the size and composition of the meal. Some research has suggested that exercising in a fasted state can burn more fat than “fed exercise,” but studies that have looked at total fat loss over time (as opposed to intra-workout fat burning) have found that fasted training doesn’t result in more total fat loss than fed training. The reason for this is simple: while you do burn more fat during a fasted workout than a fed one, you burn less throughout the rest of the day, resulting in more or less the same total amount of fat loss. Increased blood flow to the abdominal region, which will help you lose belly fat faster. You can combine it with several supplements that can dramatically increase fat burning. To the first point, one of the reasons belly fat is thought to be “stubborn” is that it contains fewer blood vessels than fat on other parts of your body. This means that during exercise belly fat doesn’t get as much blood flow as fat on other parts of your body, and so it isn’t exposed to as many of your body’s natural fat-burning compounds like catecholamines and growth hormone that you learned about a moment ago. And to the second point, the supplements I’m referring to are caffeine, synephrine, and yohimbine. Together, these supplements increase metabolic rate, fat burning, and the release of fat from stubborn fat cells in particular, and in the case of yohimbine, it simply doesn’t work if your insulin levels are elevated, so you have to be in a fasted state to benefit from it. Fasted training does have one significant drawback, however: accelerated muscle breakdown (and especially after workouts). 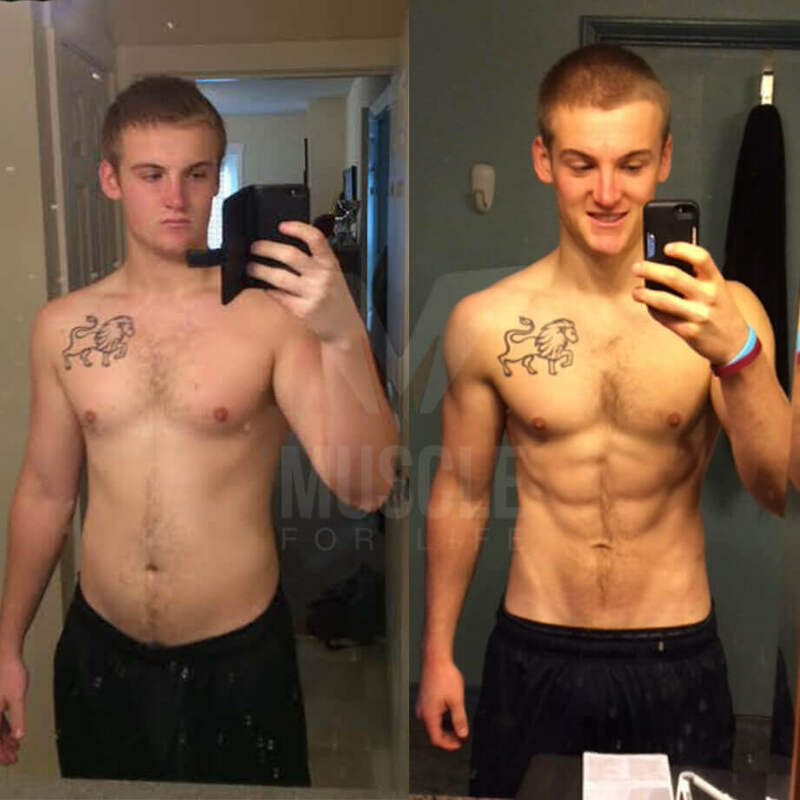 The easiest way to mitigate this without raising your insulin levels (thereby breaking your fast) is the supplement HMB, which is a powerful natural anti-catabolic agent. I saved this for last because it’s the least important piece of the puzzle. That said, there are safe, natural substances that have been scientifically proven to boost fat loss, strength, muscle growth, endurance, and your general health and well-being. As weight loss boils down to energy consumed versus energy expended, caffeine helps you lose fat by increasing your body’s daily energy expenditure. Before training, supplement with 3 to 6 mg caffeine per kg of body weight. If you’re not sure of your caffeine sensitivity, start with 3 mg/kg and work up from there. Keep your daily intake at or below 6 mg per kg of body weight. Don’t have 6 mg/kg before training and then drink a couple of coffees throughout the day. Include 1 to 2 low-caffeine days per week, and 1 no-caffeine day per week. A low day should be half your normal intake, and a no day means less than 50 mg of caffeine (you can have a cup or two of tea, but no coffee, energy drinks, caffeine pills, etc.). Betaine. Betaine is a compound found in plants like beets that improves muscle endurance, and increases strength. The bottom line is if you want to know what a pre-workout is supposed to feel like … if you want to experience the type of energy rush and performance boost that only clinically effective dosages of scientifically validated ingredients can deliver … then you want to try Pulse. Yohimbine is a natural substance that increases fat loss, and is particularly helpful with losing “stubborn” fat in the belly, hip, and thigh regions. As I mentioned earlier, studies show that yohimbine only works when insulin levels are lowest. And that means it can only help you lose fat faster if you train in a fasted state. In terms of a specific yohimbine supplement to take, I recommend you check out my pre-workout fat burner Forge today. The bottom line is if you want to lose fat faster without taking a bunch of stimulants or harsh chemicals, then you want to try Phoenix today. Eating a very low-calorie and low-protein diet. Doing high-rep, low-weight resistance training. Take supplements proven to accelerate fat loss. Do that, and you should have no trouble losing at least one to two pounds per week while preserving your muscle, strength, and sanity. → Can Intuitive Eating Help You Get the Body You Really Want?